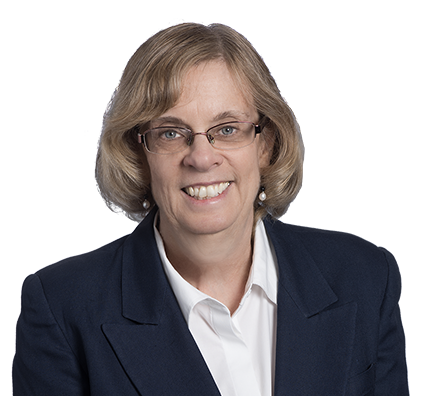 Pat concentrates her practice in the area of employee benefits and executive compensation. She assists industry clients with benefits issues arising during bankruptcy or mergers and acquisitions and drafts retirement and welfare plans. Assisting Toronto-based Algonquin Power & Utilities in the closing of three separate transactions totaling $470 million in 2012. Representing a Canadian company in expansion of U.S. cell phone holdings. In addition, Pat assists as clients make loans to employee stock ownership plans (ESOPs) and advises clients with respect to operational and compliance issues in retirement and welfare plans. Pat’s experience includes drafting executive compensation plans and equity incentive plans. Represented Toronto-based Algonquin Power & Utilities Corp. in the closing of three separate transactions totaling $470 million in 2012. Assisted a publicly traded Canadian company in the expansion of its U.S. cell phone holdings, an $83.3 million transaction. Advised a regional manufacturing company on benefits issues during the sale of its five operating subsidiaries in simultaneous mergers with a London-based investment management company. The businesses had combined annual sales of $90 million and employ 450 people. Will Your Plan Have to Follow the New Disability Claims Procedures on April 1?